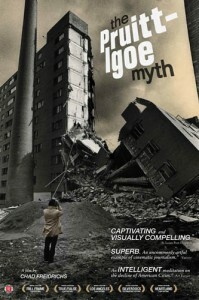 Back in November 2011 I wrote a review of Chad Friedrichs’ film The Pruitt-Igoe Myth. I’m prompted to revisit the subject because of a very nice analysis of the film by Ray Gindroz that recently appeared in Better! Cities and Towns. Mr. Gindroz is a man with lots of credibility given his long history and deep experience designing mixed income housing and Hope VI projects. He’s also been identified as one of New Urbanism’s leaders in developing quality infill projects for urban cores. I certainly agree with the importance of …economic and institutional forces…in determining Pruitt-Igoe’s fate. But given the importance of architecture in human affairs and, especially, its role in transforming built space into owned place it seems short–sighted—and inconsistent with any explanation that invokes “complexity” of cause—to rule it out completely. Mention is made … throughout Friedrichs’ film, of how various design elements conspired against residents…. In [some] sense…architecture is the most important causal factor in Pruitt-Igoe’s story because it’s the one variable that was always under some sort of direct human control. 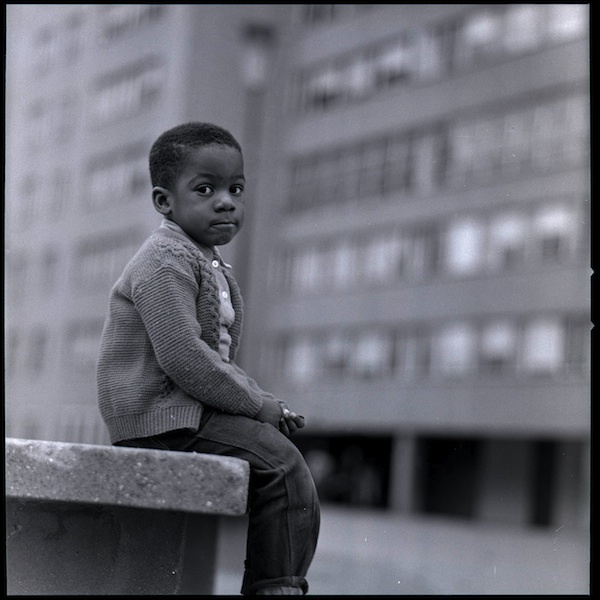 Pruitt-Igoe’s architects were clearly working under strict constraints imposed by the St. Louis Housing Authority. But the design team consciously opted for the modernist program when other choices were available… Erring too much on the side of [economic and institutional] causality risks absolving these agents of too much responsibility…Perhaps the most important lesson of Pruitt-Igoe is that we should always and everywhere see the life and death of buildings as complexly overdetermined in ways that encourage us to take greater responsibility for those things in life that we can, in fact, influence and control. Today architects are increasingly taking advantage of their power of choice …to design affordable housing that’s more livable and lovable. I would argue that the problems were caused in part by housing policies and in part by failures of urban design and architecture. Our profession is not helpless in the face of these issues. In fact, Pruitt-Igoe’s spectacular and much-publicized failure caused all those involved with housing and cities to rethink how to provide low-income housing and how to redevelop failing parts of cities. In the years since Pruitt-Igoe came down, major reforms have been put in place. 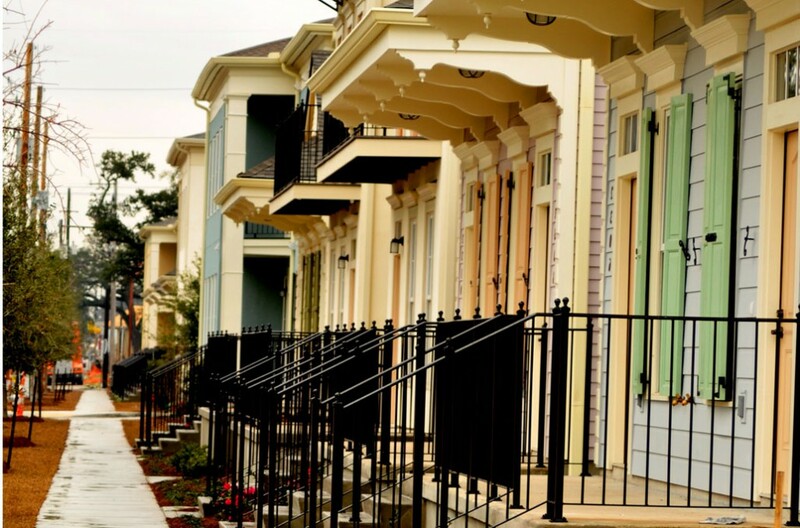 One lesson is that it is essential to build neighborhoods not just housing. Ray makes many excellent points, including the quite correct New Urbanist criticism of superblock planning. But the real death knell for P-I came from the Brooke amendment to the public housing law which required lowest income families to be served first, insuring over-concentration of stressed families in an environment which required supervision. The circulation arrangements of P-I didn’t work for this population, but remain innovative and useful for mid- and high-rise housing, in my opinion. Far too much a white-guilt driven apologia for the dysfunctional and sociopathic urban underclass…When I was a grad student at UC Berserkeley in the 1980s, I lived in a crapola university-owned off-campus housing complex –since demolished– which was too declassé for most bourgeois Americans (it was recycled WW2 shipyard worker housing! ); and so was occupied mostly by foreign student families, who weren’t necessarily of such elite backgrounds themselves, but they certainly had high aspirations and considerable levels of achievement… The place was impeccable! An absolutely identical complex –in architectural design, construction, units-per-acre density, land-use, and all other physical conditions– down in Alameda and run as, I recollect, by a public housing agency, had devolved into a vicious slum. Hmmmm. I wonder why that was? Potkin also adds a link to a website that apparently has, as one of its goals, to explain urban blight and failed public housing in terms of the inferior and ineluctable biology of inner city residents (i.e., blacks) compared to whites and, presumably, “high aspiring” foreigners (of Asian descent, perhaps??). I’ll forego rehearsing the abundant, well-evidenced arguments from anthropology and other disciplines demonstrating that human biology can’t explain the social and geographic distribution of poverty and other human miseries. Potkin’s comparative building example is also problematic because one housing project no longer exists, the other isn’t identified, and I suspect that neither can be confidently remembered in all of their important details. On the other hand, we do have a credible comparative touchstone for Pruitt-Igoe that implicates the relevance of architecture and design to building sustainable affordable housing. As noted in several reviews of Friedrichs’ film the nearby Carr Square Village—a low rise, lower density development with a comparable demographic makeup that was built in 1942—did not suffer from the vacancy and crime that afflicted Pruitt-Igoe. More importantly, though, I don’t see how anyone can watch Friedrichs’ film and not be impressed by the insight and intelligence of the former Pruitt-Igoe residents who were interviewed. These people don’t strike me as members of a population that’s inherently dysfunctional, or sociopathic, or in need of constant adult supervision. I think those qualities are to be found elsewhere. “Potkin also adds a link to a website that apparently has, as one of its goals, to explain urban blight and failed public housing in terms of the inferior and ineluctable biology of inner city residents (i.e., blacks) compared to whites and, presumably, “high aspiring” foreigners (of Asian descent, perhaps??). In fact it would easy enough to compare both housing complexes in every physical detail, since they were essentially identical in layout and construction, and the design was no doubt a conventional, easily reoplicated pattern produced by the Maritime Administration (or some analogous Federal agency). The comparative social pathology was not a function of the physical plant. Also while you say that Griffe de Leon’s de facto racist thesis (2002) has long since been overthrown by too many studies even to cite, I’d really question the truth of that. How about linking to just one? No doubt there/were are plenty of right edge of the bell curve residents of Pruitt-Igoe to present a sympathetic and articulate case for their plight, but P-I met its demise a decade or so ago, and things are assuredly worse now in most analogous underclass public housing schemes. No small percentage of the high-aspiring foreigners then occupying the erstwhile “Albany Village” low-end family housing were in fact sub-Saharan Africans and Afro-Caribbeans. There were some East, South, and Southeast Asians of course, but the prevailing demographic —to my recollection— was hardly the caricature Asian geek over-achievers.